When the weather gets cold and the snow starts falling, some people are content to cozy up next to the fire with a good book and stay warm. For others, it’s time to break out the snowmobiles and head to the nearest winter recreation spot. 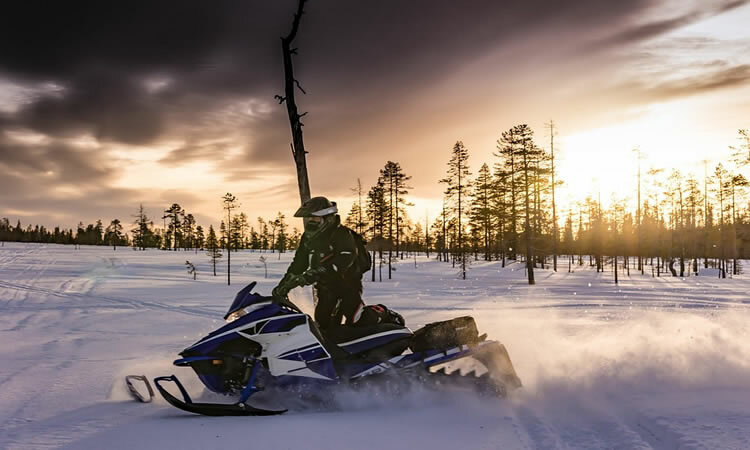 It’s a popular activity, and for good reason: Snowmobiling allows you to explore natural areas that may be hard to access by foot and provides a different kind of excitement than skiing or hiking. Of course, snowmobiling presents some dangers as well. Here at Absolute Insurance Agency, we want you to make it home safely after your day in the snow. ALCOHOL: The use of alcohol or any drug that causes impairment is a leading cause of snowmobile-related fatalities. It’s best to refrain from any use at all before and during outings because of potential effects on vision, reaction time, balance and coordination. When combined with excess speed in particular, the results can be deadly.